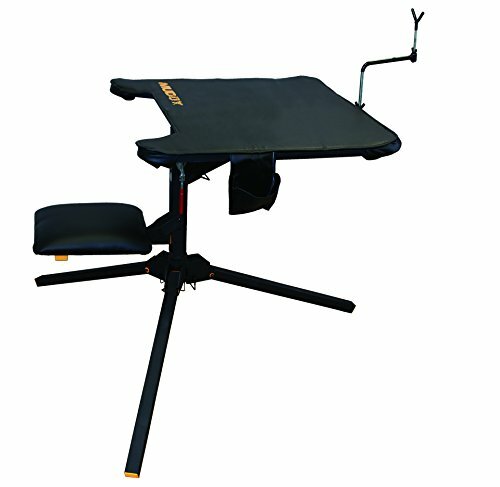 Bench top is 29 inches Wide x 29 inches Long, Extended Armrests and weighs 38 pounds. Seat and top swivel at 360 degrees. Weight rating for 300 pounds.